If there's one thing to learn about when it comes to ensuring that you have high traffic in your website, it's that you're going to need to have the high rankings on search engines. After all, with millions of users utilizing search engines to find answers to what they need, having a high rank can amp up your traffic and potential customers! If you're a smalltime business, then it's best to boost your local search rankings. You'll be surprised to know that almost half the Google searches today are made up of local information. That's why it's important to implement local SEO strategies as well to put it in your favour! Wondering how? Read on as I show you SEO strategies that will help local search engine rankings! Before we get into the different strategies that can help with local SEO, let's first define this term. Local SEO falls under organic SEO, using online strategies that will help make your business and website visible for those who are searching for products and services in their local area. Yes, even if users are within the area, they tend to use their computers and mobile phones to find the information they need for where they can get good products, from searching for the best restaurant in town down to the nearest pet store. Thousands, if not millions, of people, use local search every day, which is why focusing on local SEO increases your chances of getting found by your main and target audience. The best part? It's easy to outrank your competitors through local SEO with a few free strategies. Your content is just as important as the rest of the other strategies I'll be mentioning. Start off with what you have in your website, optimizing it for local search results. Include and stay consistent with information details, such as your name, address, and contact number to match local citations. Include cities and towns you service when it's appropriate. Also, don't write for the Google bots. Write for your target audience, which will keep them in your website and want to learn more about what you have to offer. When creating content, also avoid stuffing too many keywords! To be found on local search, you have to claim and verify your Bing and Google My Business. 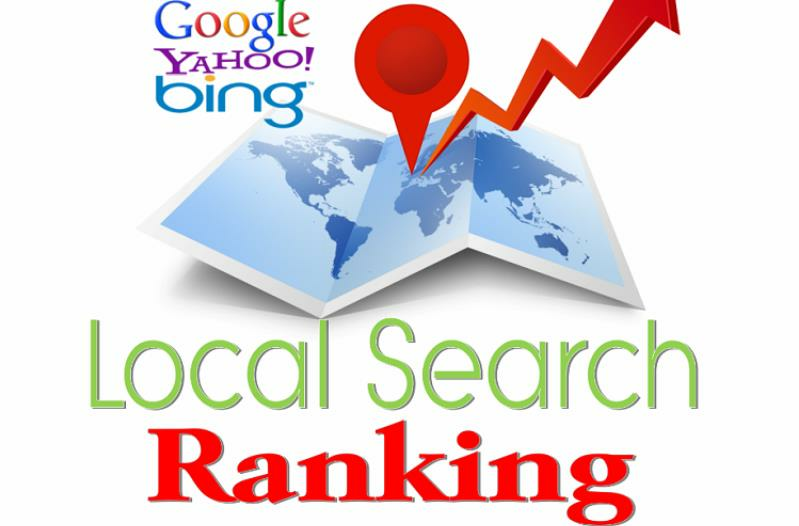 This will be able to help improve your local ranking in both popular search engines. Besides claiming and verifying your account and business, you should also create the eye-catching and accurate profile. This is because when someone searches for local businesses, search engines will display results using the information from your My Business account. So write a unique and attractive description, select the right categories, update your information, and add photos. Also, respond to reviews and keep people updated from My Business, just as if it were a social media account. I recommend that you get as many positive reviews from loyal and great customers. Did you know that almost 100% of consumers read reviews online for local businesses because they trust these reviews just as much as recommendations from personal contacts? Because of this, you'll need to create a way to get your customers reviewing your website and business, may it be from social media websites or popular review sites like Yelp! This will influence consumers and see if they will transact with you and it will also affect your local search engine ranking. Not only will having a speedy and mobile-friendly website help with your local SEO, but it helps increase your rankings as a whole, too! User experience is one of the keys to maintaining a high ranking and quality traffic. With a slow website, no one will want to stay looking at your pages for long. Also, because Google is now updating the way they rank websites with mobile-friendliness, it's just as important to tweak your theme and make it speedy on phones just as it is on desktops. Whether you're looking into expanding your business internationally or staying within your local area first, it's crucial to look into your local SEO as well to ensure that you rank high in your area to let people know what you have to offer. Hopefully, you found these SEO strategies that will help local search engine rankings informative! So don't wait any longer and look into any of these strategies now. If you have any questions or want to share prices for local SEO companies, then comment below. Your thoughts are much appreciated. Joel House is author, entrepreneur and founder of SEO company called Joel house Search media. He has helped many companies which are looking to do best in Brisbane. Joel likes reading books and have been studying, growing in digital marketing from past 10 years.